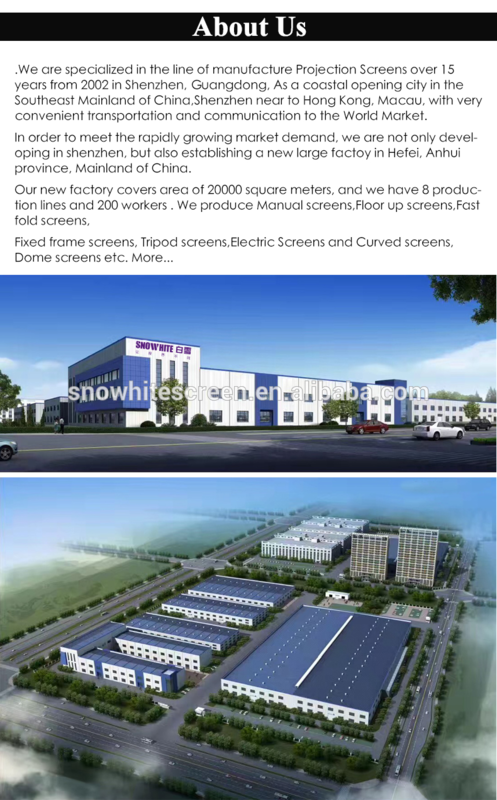 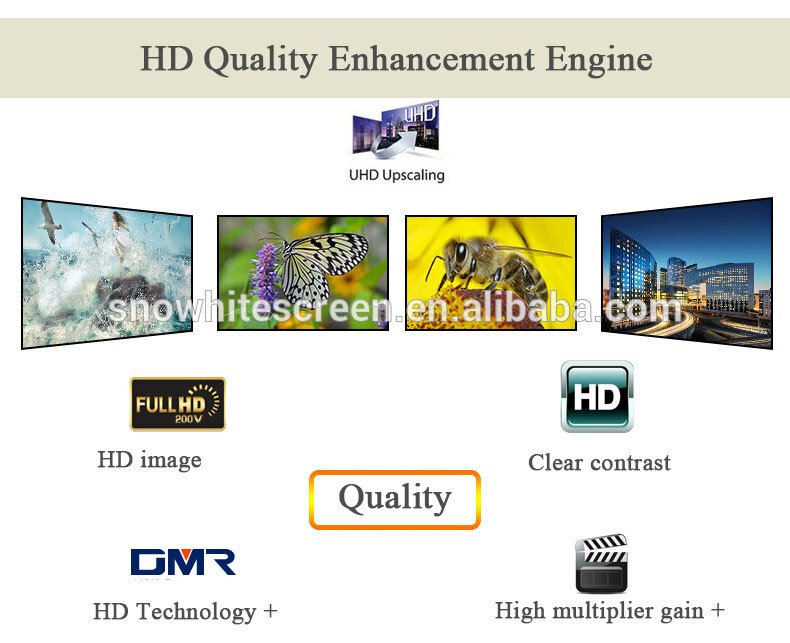 Ultra-HD, Higher-Contract, Vivid Colors, Wide Viewing Angle, Large Size, No Color Shift, Ultra Narrow 10mm Fixed Frame Screen. 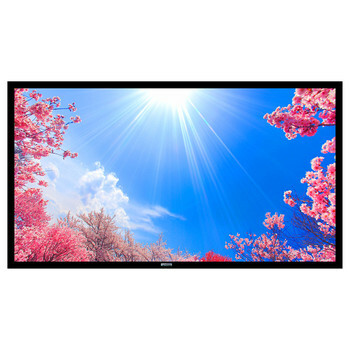 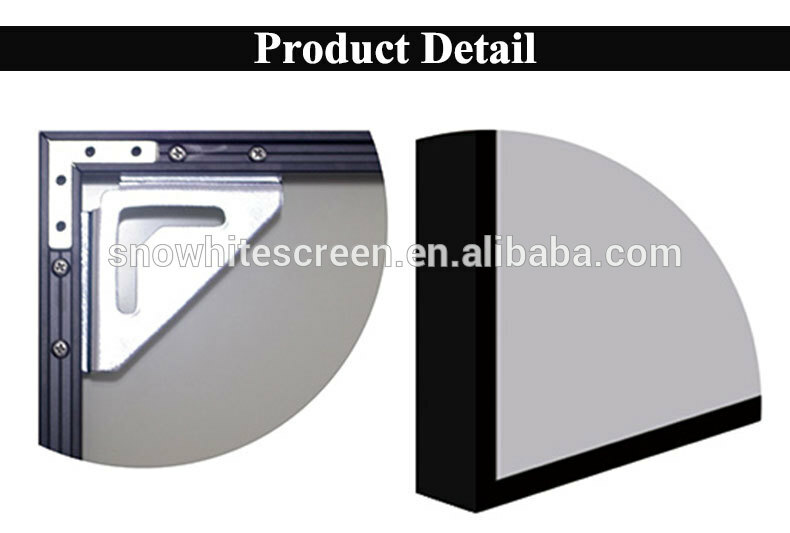 Sleek soft screen with an 10mm slim frame formulated. 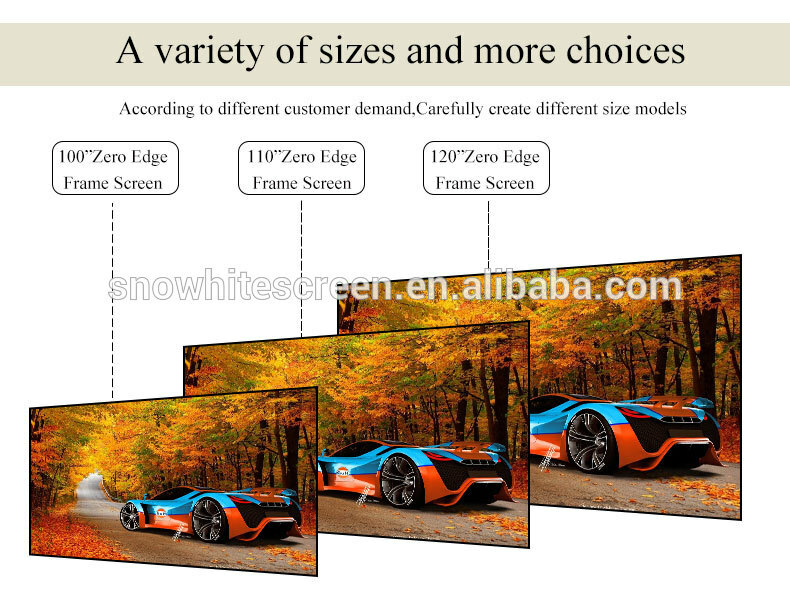 Delivering the ultimate in picture quality, vivid colors, high contrast, and a wide viewing area. 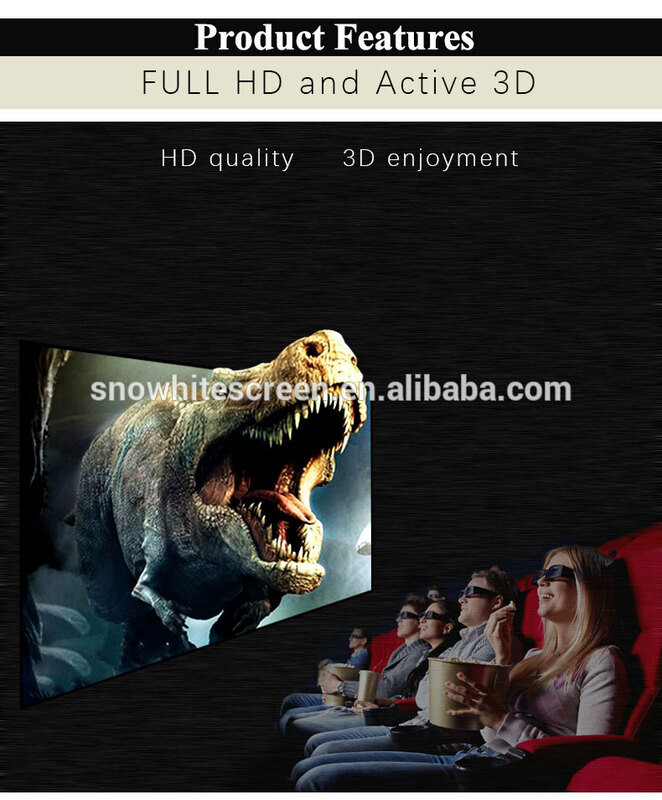 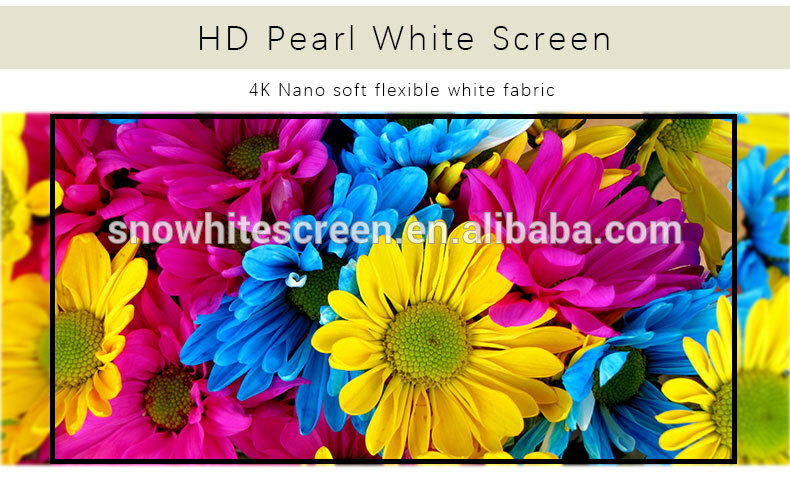 4K Nano soft Flexible White fabric, High gain: 1.5, High Contrast, vivid Colors, 170 degree Wide viewing angle, Outstanding color reproduction. 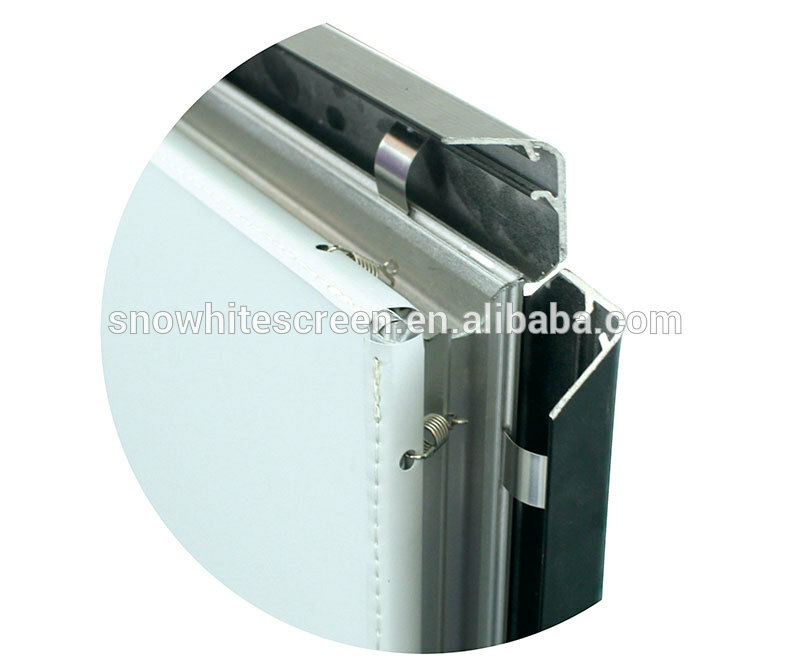 Ultra thin black finished frame, 6 PCS frames. 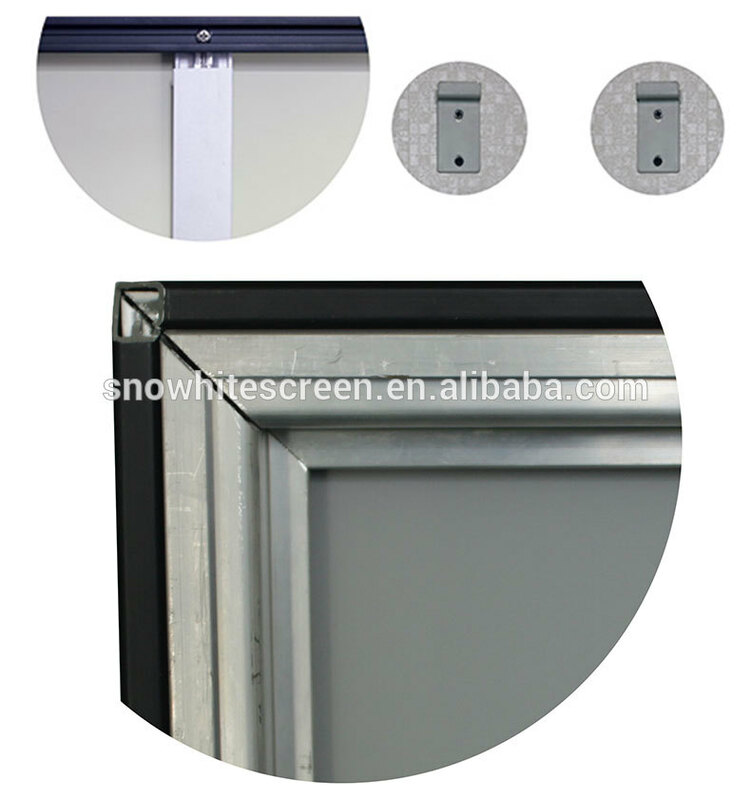 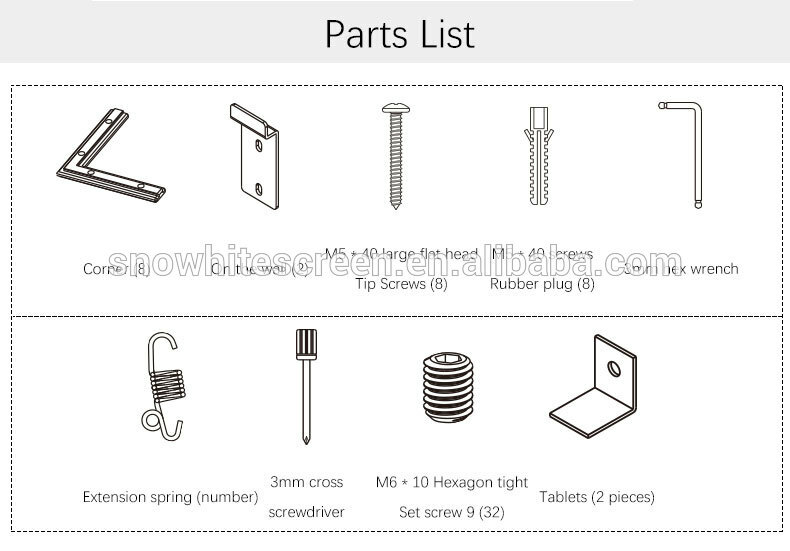 It is very easy to assemble and the Screen is separating packing for shipping.